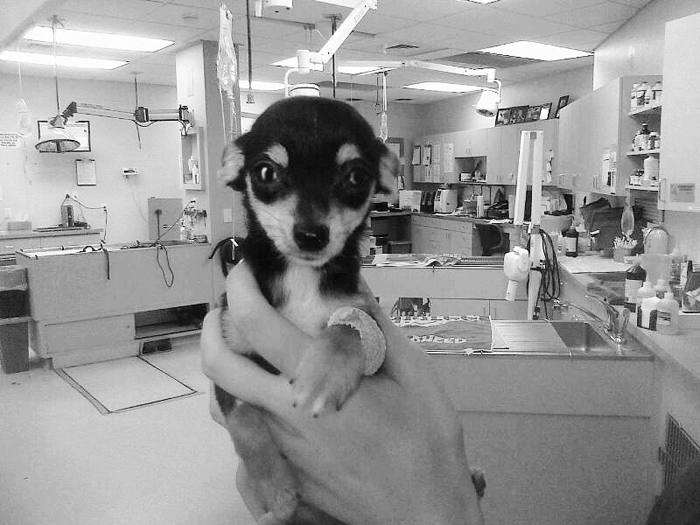 So our wonderful veterinarian Dr. Scott Linguald of Desert Inn Animal Hospital helped save this wonderful little doggie a few days ago. When she showed up at their doorstep, she was sick with parvo and near death, however, he and their amazing staff gave her lots of love and care and she survived. She's adorable, sweet, wonderful, happy and currently looking for someone to love her. If you or anyone you know is interested in adopting this wonderful puppy, give me a shout, trish@studioatg.com. I'll be glad to get you in touch with them and help in any way we can. PS...this photo is shot with a phone cause we wanted to get the word out quickly. Go little Terry!